It’s not just all about the cowboys this weekend as Rodeo Week is in full swing. There’s so much goodness that we couldn’t fit it all on this page. There’s an extensive list for Rodeo Week compiled by Edmonton Tourism here. However, Rodeo ain’t the only thing happening. Here are a few highlights we’ve selected for this weekend. As part of the event launching CFR Rodeo Week, the annual Chili Cook-Off is our favourite pop-up food event of the season. For only $1 samples or $2 bowls, you can fill up with the best Edmonton establishments’ take on the winter staple. In the past, the Fairmont Hotel MacDonald, Zinc, Lux Steakhouse, and Westin have been serving their best chili recipes. If you missed it today, here’s a recap and the winners on this page. 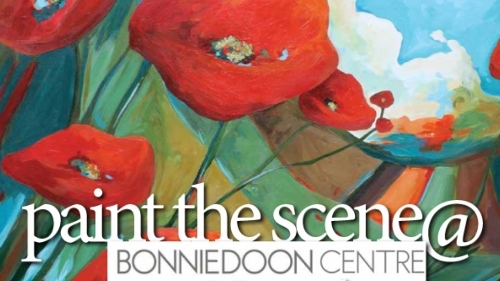 Bonnie Doon (shopping) Centre, is hosting a unique Paint The Scene event in its centre court Friday night. They’ve purchased the art supplies needed and only need the public to come to this free event to paint a Remembrance Day tribute together. The work being recreated by the public will be Time Flutters by Lorraine Shulba. It is a colour painting of poppies, a fitting timeless symbol for November 11th approaching on Wednesday. To get here by transit, take routes 4, 8, or 15 and alight at 82av and 83st. 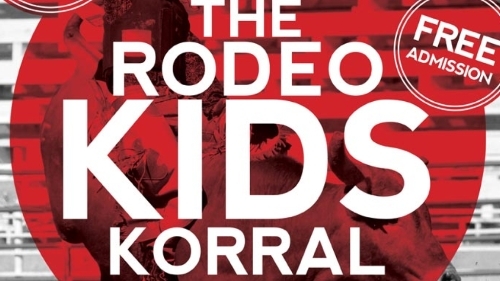 The Canadian Progress Club in association with Edmonton Tourism is hosting the first annual family-friendly Rodeo Kids Korral. This is a free event for all ages and will include wagon rides, live music, petting zoo, marshmallow roasting, barrel racing, and more. A food station will be setup to provide, at a low cost, a pancake brunch, hot chocolate and coffee. The event will be in Dr. Wilbert McIntyre Park where the gazebo is in Old Strathcona. This event will be hosted in support of Uncles and Aunts at Large and Adaptabilities, both of which are actively supported by the Canadian Progress Club, all donations will go directly to supporting their cause. Click here for more information. Take 4 or 7 along Whyte Ave and alight at 104st. 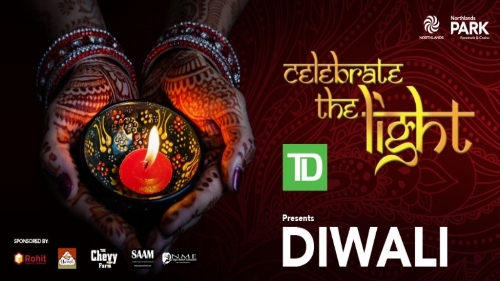 Since the actual Diwali on Remembrance Day, the TD Diwali Festival will be happening this Friday and Saturday at Northlands Park Racetrack & Casino. There will be entertainment by South Asian Arts Movement and the best Bollywood song and dance this city has to offer. Saturday afternoon is free and family friendly from 1-5pm where cultural and local food will be available at the market. You can even learn how to Bollywood dance. Other events and information here. To get here take exit A at Stadium station (yes, it’s a shorter walk), go East across the track and continue along 112av, and walk through Borden Park (on the left) after 78st. The Kinnaird Park Ravine will become a 1900 square foot gallery of art this weekend. The event begins Nov 7 at 10am with volunteers putting up over 50 pieces of art created by the community. Organized by Creart Edmonton, it will be the first of its type here in Edmonton. The gallery starts at Sheriff Robertson Park located just north of where Jasper Ave becomes 82st. It’s a direct walk from exit B at Stadium station. The Edmonton Numismatic Society (the what???) will once again have Canada’s largest coin show and sales event. 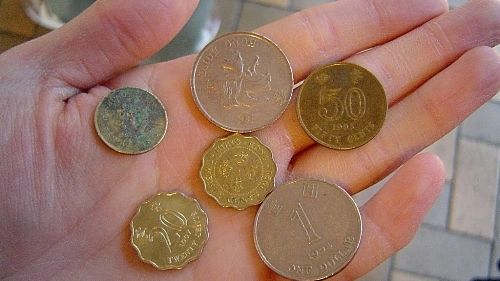 You name it, coins around the world will be there, including paper currency. Although coins and stamps are often at events together, it does not appear that philatelics will be on display. There will also be a section for watch enthusiasts as the Edmonton Watch Club will be present to show off their time pieces. The show will be located at Howard Johnson Hotel (15540 Stony Plain Rd) and open Sat from 10-5 and Sun from 10-4:30. Admission is $5 for age 16+, free for children. Save a horse and a cowboy, and ride a bull at the Edmonton Southside Rodeo Pancake Breakfast during Canadian Finals Rodeo Rodeo Week. A mechanical bull will be present to greet you at the Radisson Hotel Edmonton South to start of your Monday morning with a pancake breakfast. But when it comes to the price, it’s no bull that it’s a free breakfast. The Radisson is located at 4440 Gateway Blvd, just north of Whitemud on Calgary Trail. Route 73 will take you here. 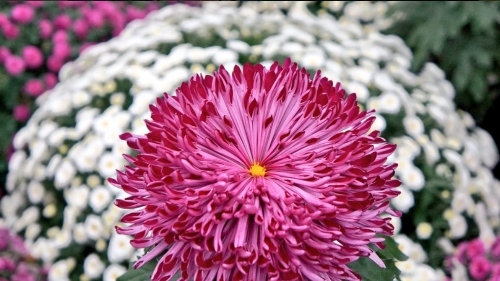 The Muttart Conservatory has opened a short 3 week feature showcasing mums, also known as chrysanthemums. The flowers add a splash of colour as we lose an hour of sunlight per month until the winter solstice. Chrysanthemums are also great in different teas served traditionally. Word has it you have less than 10 days to see Mum’s The Word. From exit A2 at Central Station, walk or take the route 8 southbound, alight at Low Level Bridge, and use the trails eastbound towards the glass pyramids. Hours and prices here.